Seed Interactive and Illumination Games today announced that Skies of Fury DX will be launching on Nintendo Switch eShop in North America and Europe on April 12, 2018. 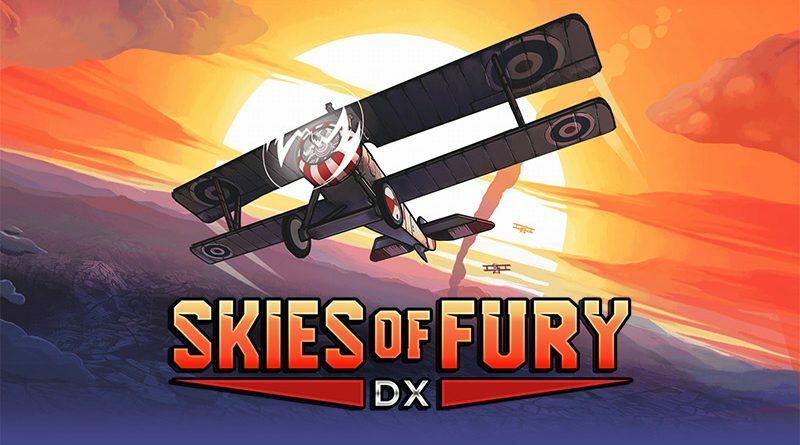 Skies of Fury DX is an action-packed flying game that allows players to experience historical Bloody April, 1917, as both British and German pilots. Dogfight through the single-player campaign or challenge your friends to an epic multiplayer, split-screen battle. The game features ten unique WW1 planes based on British and German designs and six stunning hand-painted environments. Discover features like formation flying with your wingmen, daring aerial maneuvers, and devastating power-ups to unleash fury on your enemies. With 100 campaign missions, unlockable comics based on the real history of Bloody April, and hundreds of options to customize your planes, Skies of Fury DX is a refreshing addition to any aviation buff’s collection.